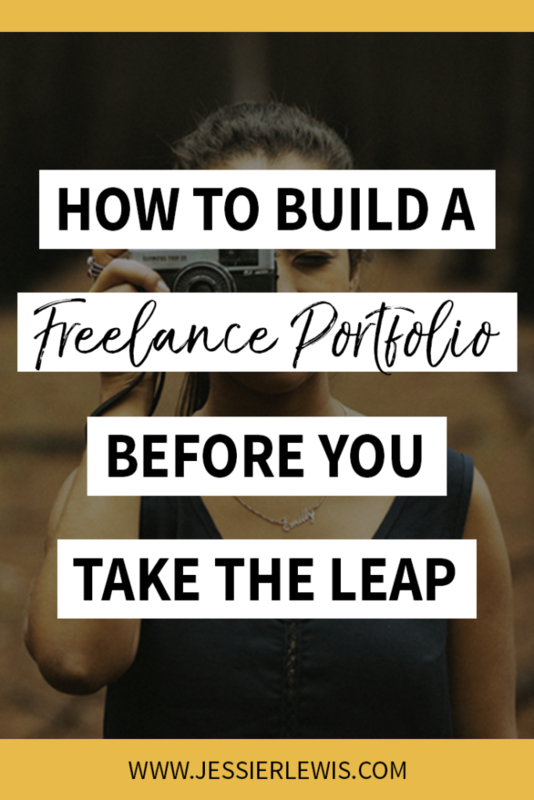 You really want to start freelancing, but how are you supposed to get clients without a portfolio? And wait—how are you supposed to make a portfolio without clients? It sounds like a catch-22. Luckily, it’s not. If you’re looking to start winning freelance gigs, you can build a good-enough portfolio through discounted clients and your own projects. The best way to get work samples for your portfolio is to do real work for real clients. Now, it’s hard to get well-paying clients without proof that you can do your work well (that’s why you’re building a portfolio, right? ), so most folks start out by offering their services for free or at a discount. I’m not a huge fan of offering work for free, for three reasons. First, it contributes to the idea that professionals are happy to work “for exposure,” and it cheapens the freelance industry as a whole. Not good! Second, negotiating a price (even a small one!) teaches you how to have those conversations from the get-go. Finally, money gets your clients’ skin in the game, and they’re much more likely to be responsive, involved, and thankful for your work if it’s something they’re paying for. So, stick to a discount. And when you make your pitch, be sure to mention that you’d deeply appreciate a testimonial if they love your work. Small businesses are often cash-strapped and cautious about investing large amounts of money in anything outside of their main product or service. So when you come along and offer a decent discount on something they know will ultimately help their business, it’s a low-risk situation that they may be very open to. You may even be able to work out a trade or some kind of store credit. When pitching a business over email, don’t focus on trying to “sell” them. It’s helpful to Google some example pitch emails just so you know what all to include, but remember that you’re writing to a human. Spend time learning about their business so that you can offer specific solutions. Talk plainly about what you’re hoping to help them with, what you’re asking for in return, and why you’re offering the discount. You’ll be surprised how far some simple honesty goes. It’s also fantastic (but not necessary) to have had previous contact with the business owner. This is why networking events with your local chamber of commerce or even local Facebook groups can be so valuable. A bit of face time or some memorable comments can go a long way in establishing trust—or at least recognition—with the person you’re pitching. Upwork is the renowned armpits hub of the freelancing world where lots of businesses go to find cheap work from freelancers. Many freelancers start here, and occasionally return to it when they’re having a dry month. The positive is that if you’re just focusing on getting a client or two under your belt and a terribly low price isn’t a deal-killer, you can find work without a huge amount of effort. Just be sure to raise your prices after you’re done with Upwork, and look for clients in other ways. It’s hard to make a living on there. Now, the one situation where working for free makes sense is when it’s a worthy cause. 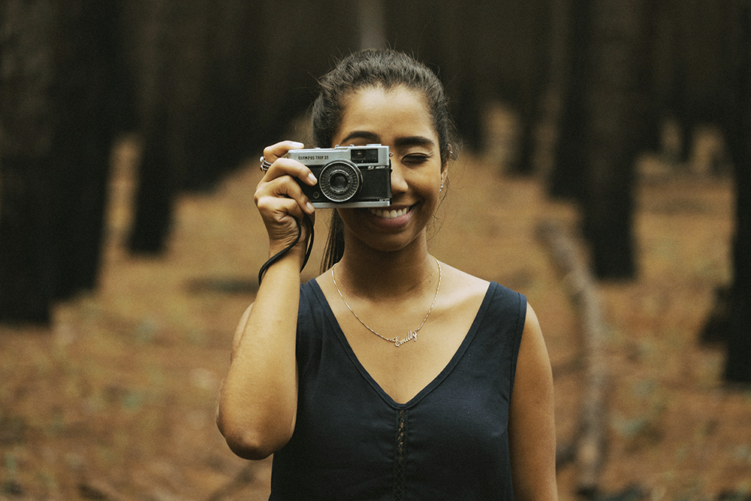 Catchafire exists to pair nonprofits with professionals who are willing to volunteer their time and expertise, and it could be a great way to find some projects to build your portfolio. …But I’m no lawyer. This excerpt is from The Freelance Contract by And Co and The Freelancers Union, and it’s not reviewed by a lawyer, so use it only as a starting point. Do your research! If you’re creating social posts for a restaurant, ask if they track page engagement, or if you can take a look yourself. If you’re writing optimization copy for a website, ask for read-only access to their Google Analytics (if available). Even a broad metric such as sales growth can work if it’s clear that the growth was primarily from your efforts. The bottom line is that you want to find some objective metric you can track to see what kind of results your work provides. If you get positive results, it can be fantastic information to include in a write-up in your portfolio. Look up how to calculate percentage growth, then show it off! Just be sure to make sure the client is okay with this (in your contract or at least written in an email), as some people may not be comfortable letting the world see their numbers. For a lot of newcomers, the idea of tracking down clients is utterly terrifying. The truth is that you’ll have to do it eventually in one way or another. However, creating your own projects for your portfolio can be a way to ease into it and have some fun while still creating something worth showing off. The projects you create will vary greatly depending on your specialty, but the goal is to create pieces that a potential client would want for themselves. For example, if you’re offering website design and development, put together a few homepage samples. If you’re a copywriter like me, ditch the poetry and write the same style of content that you’d be selling, such as blog posts and sales copy. Here are some more ideas to help you get started. You don’t need to write a bunch of in-depth blog posts or a fully built-out website to show your skills. You can flesh out your portfolio with smaller pieces, and label them as “excerpts.” Write the introduction and first point of an article, and call it a blog excerpt. Design just one page. Outline the concepts for an app. Write up a description of the project, such as what led you to begin it, or what it could be in the future. This gives it some context. Oftentimes, your prospects just want to know you can do the job, and that you can vary your work to fit their needs. Lots of different examples can be far more effective than one huge project. This is also a great option if you have some usable work that you created in college that you want to show off while making it clear that it isn’t a completed product. What is something that your clients would genuinely like to have that you could create once and give away to anyone who lands on your site? A set of icons, a how-to guide, a simple WordPress plugin—a free download can show off your expertise in creating functional solutions while building a bit of good will with the prospect. Imagine you were working for some big brand. How would you redesign your website? What would a fresh social campaign look like? What would you write for their website? Then, create it. Since you are using this to sell your own services, you don’t want to actually use brand names, as that could cross into trademark infringements. Instead, you may want to use fake logos and names. Also, make sure you have the rights to any photos you use (or use free ones from sites like Unsplash). When going through this process, also include a writeup about the work. Explain your thought process and why you made the decisions that you did. This is especially important for design work, which can be viewed as arbitrary. Show them that you have a solid foundation and process that you’re working from. Once you have at least two work samples, it’s time to start putting together your portfolio website. As you complete projects, save information on each one: stats you’re allowed to use that show positive growth, screenshots of social posts, design elements, etc. Grab this info as soon as you can, as your client may change things soon after publishing, and then you won’t be able to get what you need. When making a portfolio site, there are two main options to choose from: WordPress and Squarespace. Squarespace is the better option if you want fast and easy but still beautiful. WordPress is better if you expect you’ll need more custom features, and you like to have 100% control. At the time of writing, I’d say Squarespace is the best option for most situations. It’s got beautiful built-in designs to choose from, it’s easy to customize without a bunch of coding knowledge, and you can get your site running in no time. Solopreneur Sidekick has a great intro to Squarespace to help you get started. If you really are leaning toward WordPress, don’t use WordPress.COM. Instead, you’ll want to host with a web hosting company (some popular ones are Bluehost, GoDaddy, and SiteGround) and add on the free WordPress.ORG platform. From there, you can download free user-made themes, create your own (if you’ve got coding skills), or you can purchase something more robust. With these elements elone, you’d be treating your site purely as a portfolio. Regardless, focus on getting just #1 and #2 up first, since that will make it usable. Then, you can add on #3-6 as time allows. This post is to help you get your first 2-3 case study/testimonial clients. That’s all you need to prove your chops. Then, you need to stop discounting and start landing well-paying clients. As your portfolio grows, you’ll find you’ll be able to command increasingly higher prices and attract better clients. This is also true the more professional your site looks, and how clearly you communicate. So start scrappy, but never stop improving.